The first five airplanes will be delivered in 2016. Russia will supply 100 Sukhoi Superjets to China in the next three years, Russian Trade and Industry Minister Denis Manturov said at the Innprom-2015 Defense Exhibition in Yekaterinburg. 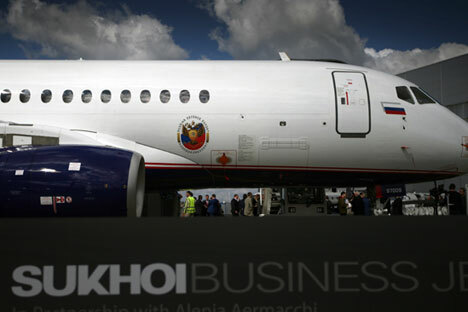 According to Manturov, Russia and China will also jointly manufacture a large passenger airplane and a heavy helicopter. “Industrial cooperation within the framework of APEC, ASEAN and BRICS is particularly important in times of political instability," Manturov said. “We have agreed to hold a meeting in October in Moscow between the main ministries of the BRICS nations." Bilateral trade between Russia and China touched $90 billion last year, Manturov said, adding that Russia would like this figure to touch $200 billion by 2020. “The share of the oil and gas sector in Russia's exports is obviously very high, but the non-raw material industries accounted for $50 billion (in trade with China) and we must try to increase it in the future," he said.